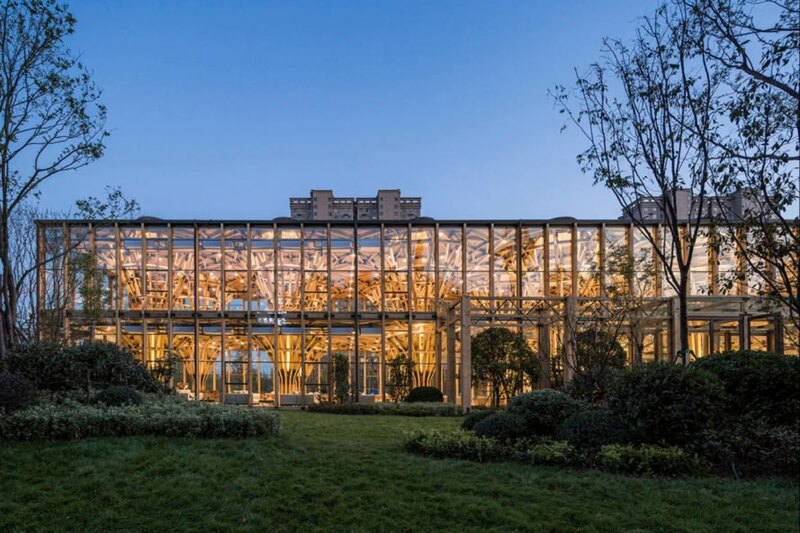 Beijing-based firm LUO Studio has unveiled a beautiful, all-glass headquarters for an eco-farm operator in China’s Henan province. 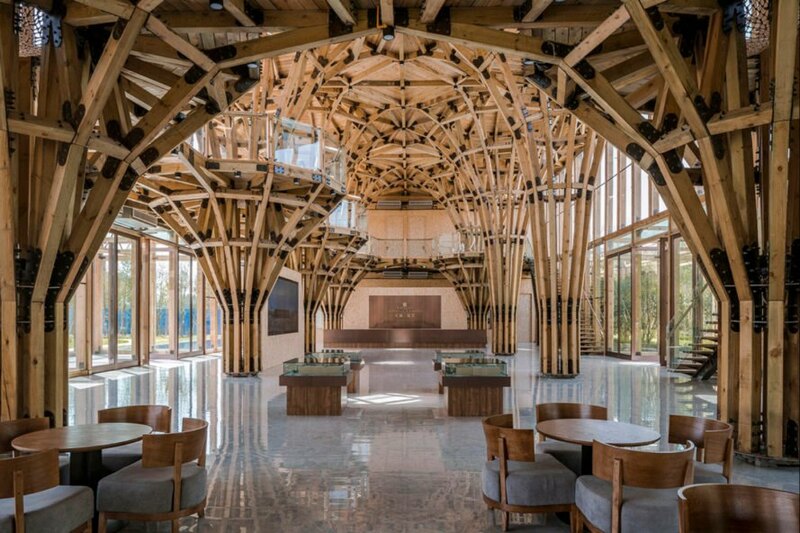 The transparent Longfu Life Experience Center features a spectacular interior comprised of multiple soaring timber “trees” that can be easily reconfigured or dismantled entirely. The modular design not only reflects the current company’s commitment to providing clients with greener lifestyles, but it offers future tenants an adaptable building structure with infinite possibilities. Further adding flexibility to the design, the expansive 17,000-square-foot interior is arranged in an open-plan layout that relies primarily on natural light. The two stories include a multi-functional space on the ground floor that can be used for large events or sectioned off for smaller gatherings. The first floor is a mezzanine gallery protected by series of glass balustrades. 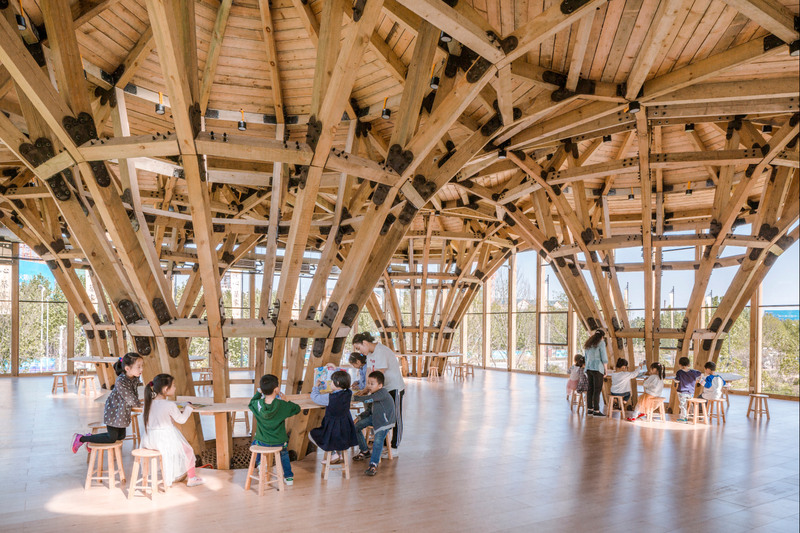 On the upper level, the timber structures have table spaces that wrap around their width to provide space for work or play. The center is clad in all-glass panels. The lounge area is especially inviting. The large building has two stories. The building is the new headquarters to a property developer specializing in green lifestyles. The center is a low lying building that blends in with the countryside. 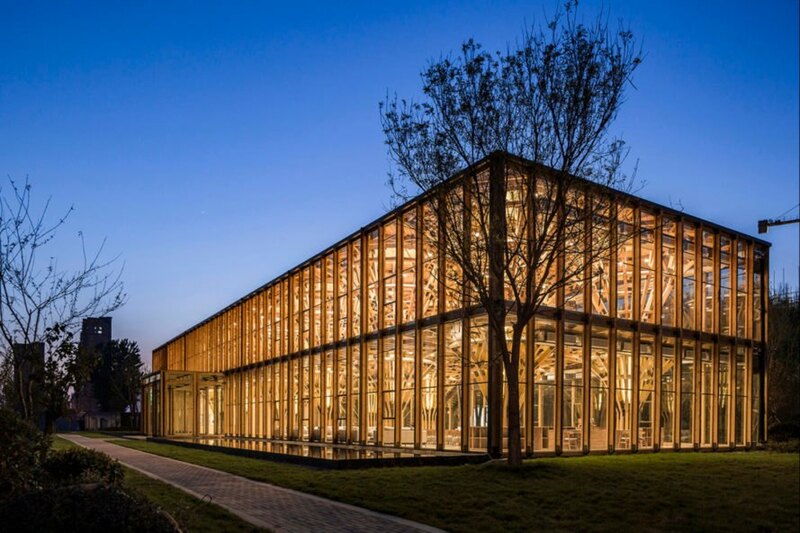 The modular Longfu Life Experience Center was designed by LUO Studio. The modular structure can be reconfigured in a variety of uses. 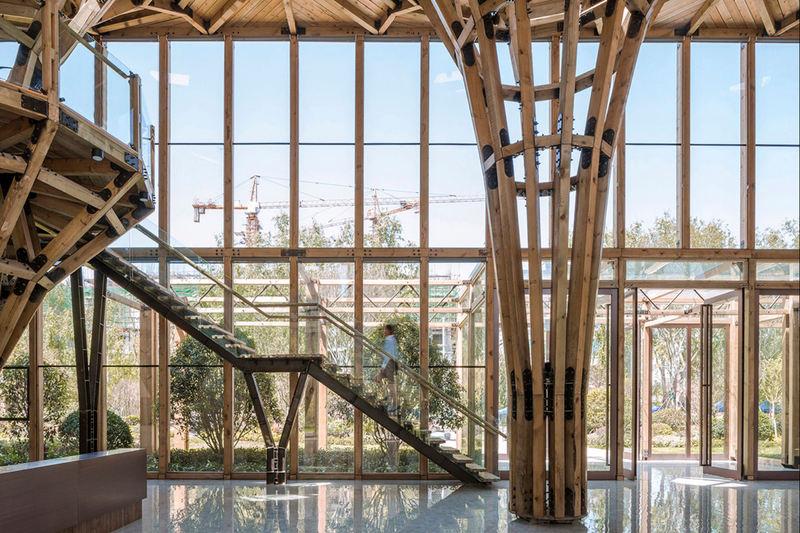 The interior of the center is filled with soaring timber structures in the shape of trees. The center is a glowing beacon at night. 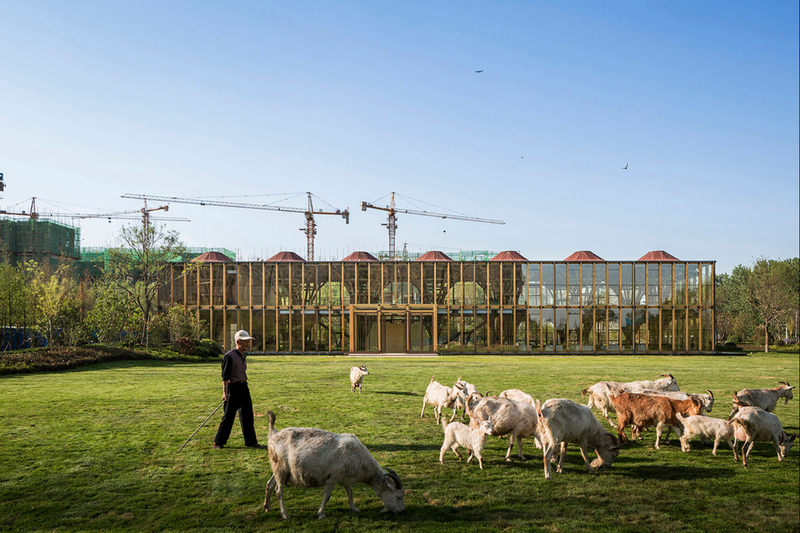 The Longfu Life Experience Center by LUO Studio. The atrium gives the best view over the interior. The kids' area is bright and airy. The building glows in the evening time. A look at the surroundings of the Longfu Life Experience Center.